/ The Seismic “Big Quiet” In California: A Near Impossibility? What’s Causing This? 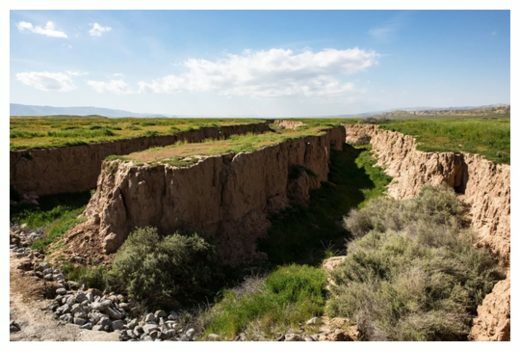 The San Andreas Fault runs through the Carrizo Plain in California. It’s a little too quiet in California, seismically speaking. Slip refers to the movement of strike-slip faults, which are prone to produce ground ruptures if they’re large enough. That’s because strike-slip faults feature two chunks of crust moving alongside each other in opposite directions, like two trains passing each other on a set of north-south tracks. After a strike-slip quake, the surface can be shifted. The centerline of the highway, for example, could stop abruptly and pick up again a foot to the left. In a 2014 conference in Alaska, David Jackson, a professor emeritus at the University of California, Berkeley, noted that the Golden State hadn’t seen one of these quakes since 1918. That century-long gap looked improbable when compared to previous quake patterns in the state. In his talk, memorably titled, “Did Someone Forget to Pay the Earthquake Bill?”, Jackson wondered if something was wrong with scientists’ data on historical earthquakes. That’s where Biasi and his co-author, USGS paleoseismologist Katherine Scharer, came in. The two are experts on long-ago earthquakes and knew that they could figure out whether the seemingly weird gap was just a fluke in the data. 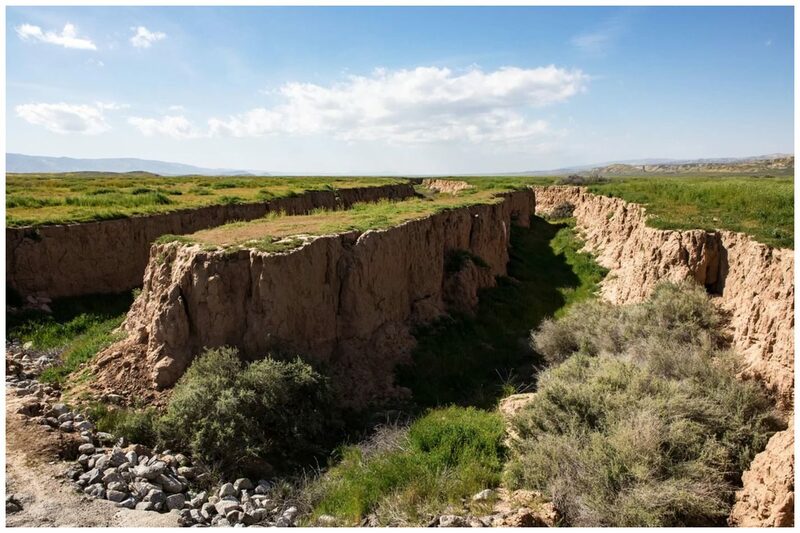 The pair analyzed seismic records going back 1,000 years from 12 sites on five branches of California’s major fault system: The northern San Andreas Fault, the Hayward Fault, the southern San Andreas Fault, the San Jacinto Fault and the southernmost San Andreas Fault. The system spans from well north of San Francisco all the way to the border with Mexico. By comparing time gaps in ground-rupturing activity at all the faults in two different data sets, the researchers found that the likelihood of all five branches quieting down for a century all at once just by chance was slim to none. In fact, the researchers put the likelihood at 0.3 percent that the quiet period is just a quirk of statistics. Sometimes, a single branch could be relatively quiet, the researchers found, but all of them quieting down at once for 100 years was unprecedented. “We do not think it’s happened in the previous thousand years,” Biasi told Live Science. The team reported its findings Wednesday (April 3) in the journal Seismological Research Letters. The findings could have implications for the future. The average number of ground-rupturing earthquakes per century is about three or four, Biasi told Live Science. This century has had zero, so a good bet is that the next century will be busier. “Six would be reasonable and has a precedent,” Biasi said. That precedent is the 1800s. Between 1800 and 1900, California experienced six ground-rupturing quakes. Then, between 1900 and 1918, the state experienced two more, the 1906 quake and a magnitude-6.7 temblor on the San Jacinto Fault in southern California. That doesn’t mean that a huge quake is necessarily imminent, Biasi said, just that the statistical dice are loaded in favor of a number of ground-rupturing quakes. And ground-rupturing earthquakes are not California’s only concern. The Bay Area’s 1989 Loma Prieta quake, for example, killed 63 people but was not a ground-rupturing temblor. Neither was the 1994 Northridge earthquake, which killed 57 people in the San Fernando Valley. Quakes don’t have to rupture the ground to be dangerous. Nevertheless, understanding why the hiatus is happening could help clarify the future threat to California. Unfortunately, Biasi said, scientists aren’t yet sure how to explain the lull. One possibility, he said, is that above-average activity of the late 1800s and early 1900s “wrung the system out,” releasing seismic tension all at once. The faults might just need more time to build up stress before breaking again. Another possibility, he said, is that there’s something synchronizing the activity across these five major faults. What that would be, though, remains a mystery. Researchers will need to experiment with computer models that simulate earthquakes to determine what factors calm California down – and which ones make the state shudder. I have a possible answer to this mystery; One which mainstream science wouldn’t approve of. HAARP. Going right back to the Eastlund Patents, it was always suggested that this technology could be used not only be used to trigger earthquakes, but to mitigate them. Has the US been protected from the upsurge in Pacific Plate seismicity, or perhaps even contributed to increased seismicity elsewhere by “short circuiting” the natural tectonic processes?